'Ocean Mist', a flower by the seaside, covered in mist and rain. Refreshed, cool and energized knowing it will soon be basking in the sun. Just as for us, water is vitalizing. 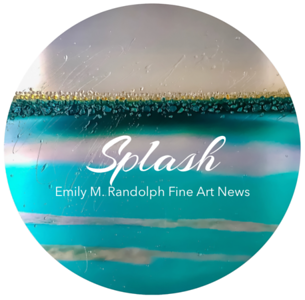 Mixed media on aluminum with titanium and champagne reflective glass, and Emily's 'Resin Splash' for a play of gloss against the luster of metal.